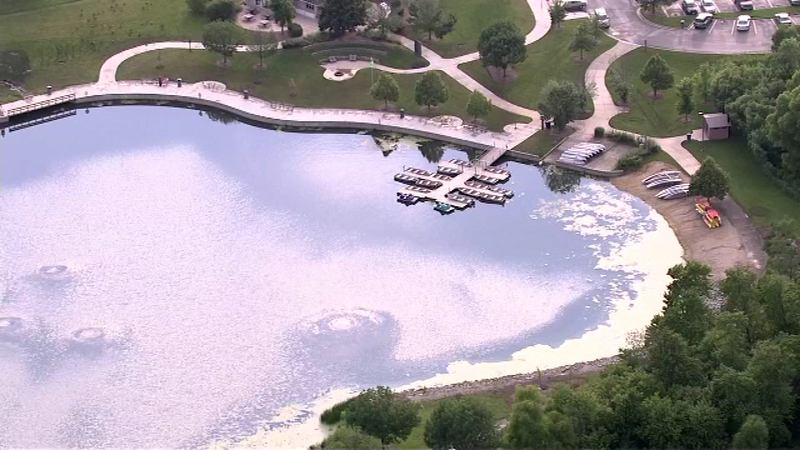 MONEE, Ill. (WLS) -- The Illinois Environmental Protection Agency and Forest Preserve District of Will County says a dangerous toxin has been found in the Monee Reservoir. The toxin is harmful to humans and pets if they drink it or come in contact with it. Officials say the high levels of toxins are the result of a temporary algae bloom in the reservoir, which is a boating and fishing facility. There are warning signs posted, telling people to avoid the algae and keep animals away.